A generous assortment of our top-selling treats! They’ll be thrilled to snack in style. 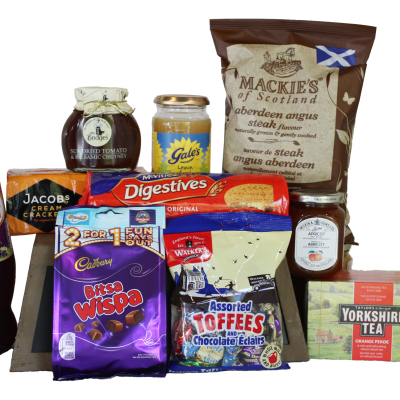 The Gourmet Gathering basket has been filled to the brim with a selection of our most popular munchies. 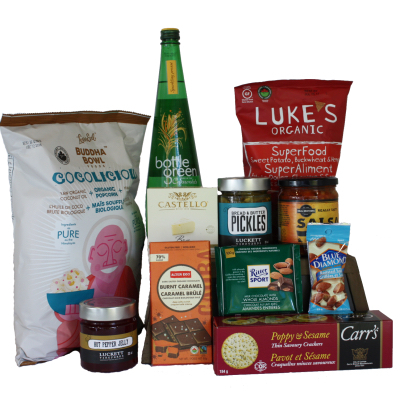 From popcorn to chocolate to candy to chips to soda, everyone will find something to enjoy packed in a charming rustic box. Impress your friends, co-workers or family with this delectable collection of sweet and salty snacks. Brilliant picks from across the pond! They will be over the moon to receive this carefully curated collection of pickled onions, chutneys and jellies, tea, biscuits, sweets cookies, toffee, oatcakes and shortbreads. Packed in a charming rustic box, this is a royal crowd pleaser!